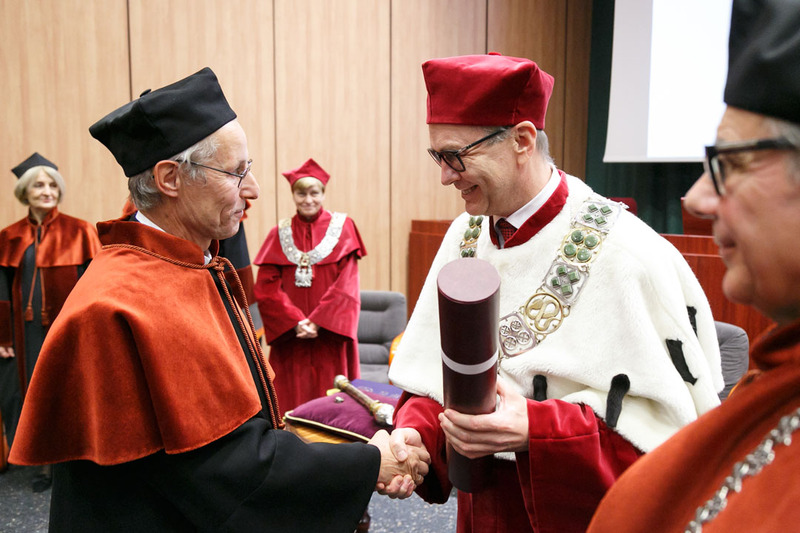 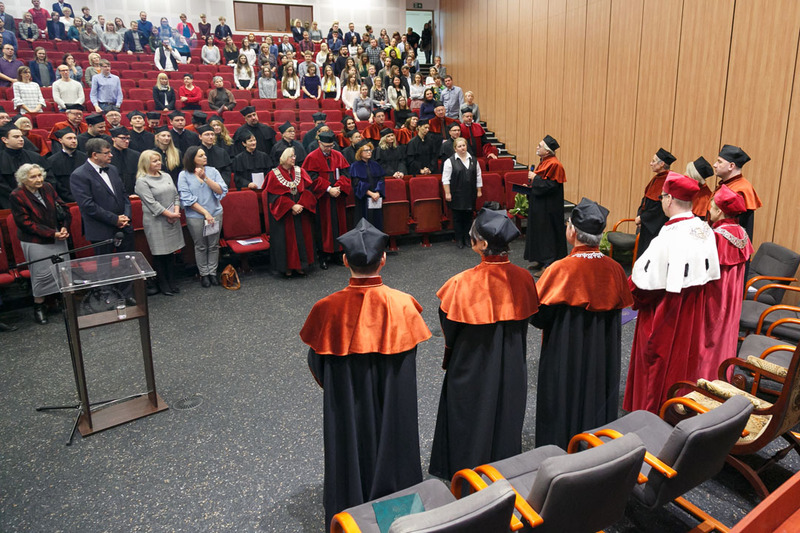 Prof. Matthias F. Melzig was awarded doctorate honoris causa degree on 14 December, 2018 during the XI Scientific Conference of the Faculty of Pharmacy and Laboratory Medicine held at Medical University of Warsaw. 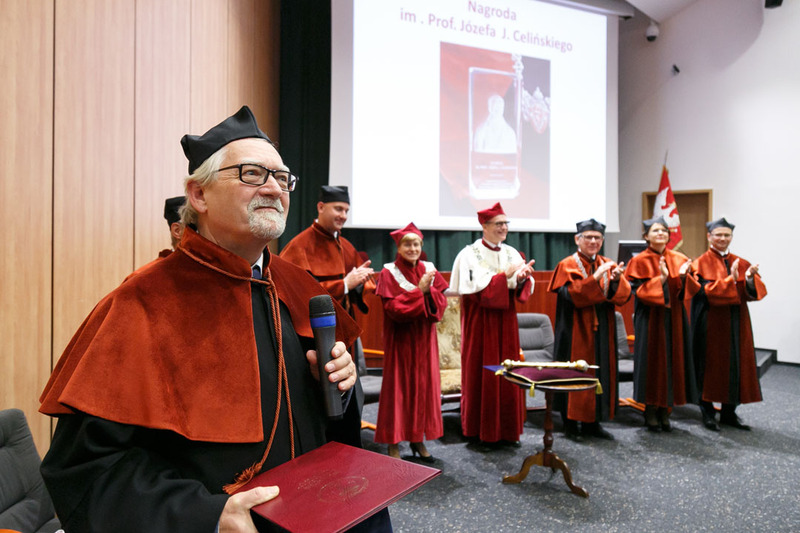 Prof. Matthias F. Melzig is a professor at the Institute of Pharmacy at Free University Berlin. 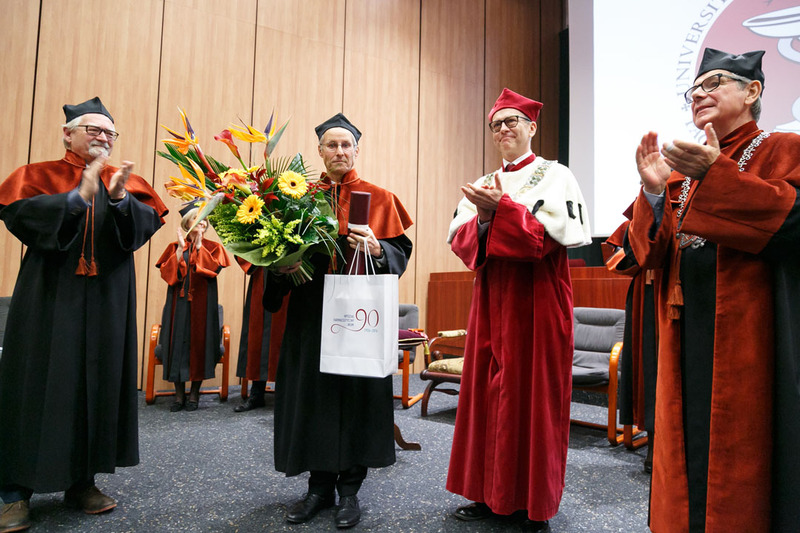 He specializes in research on plants as a source of new medicines. 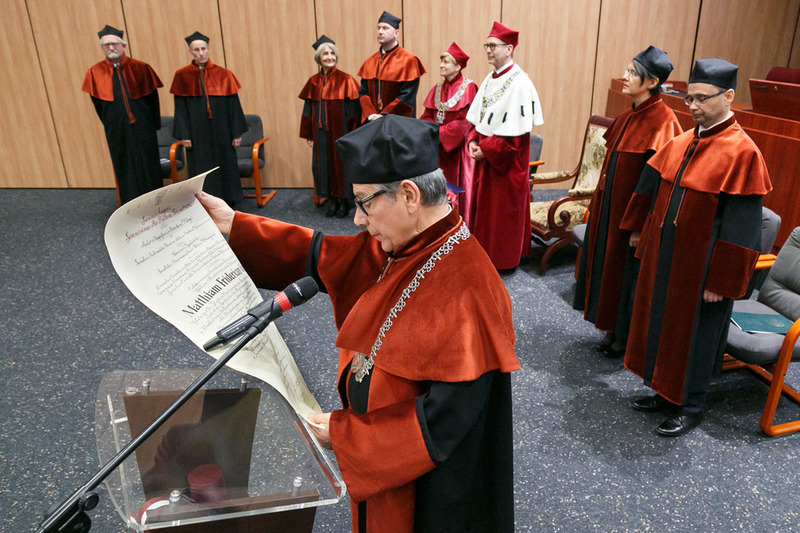 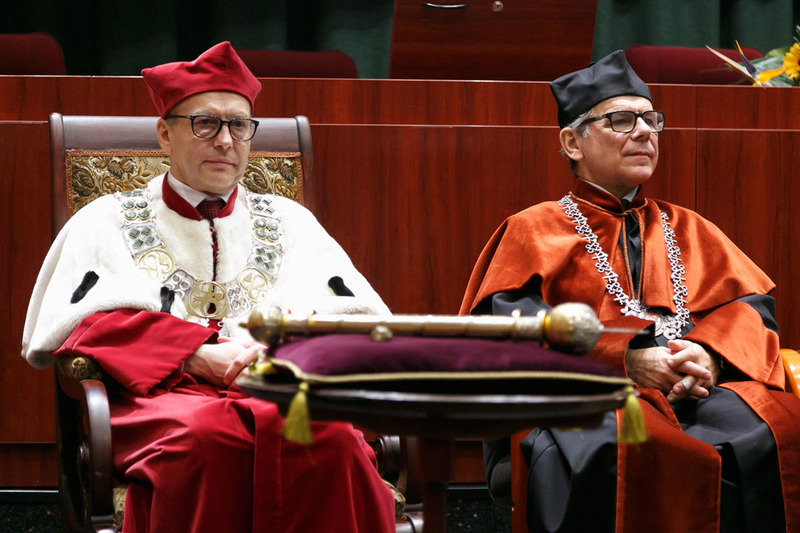 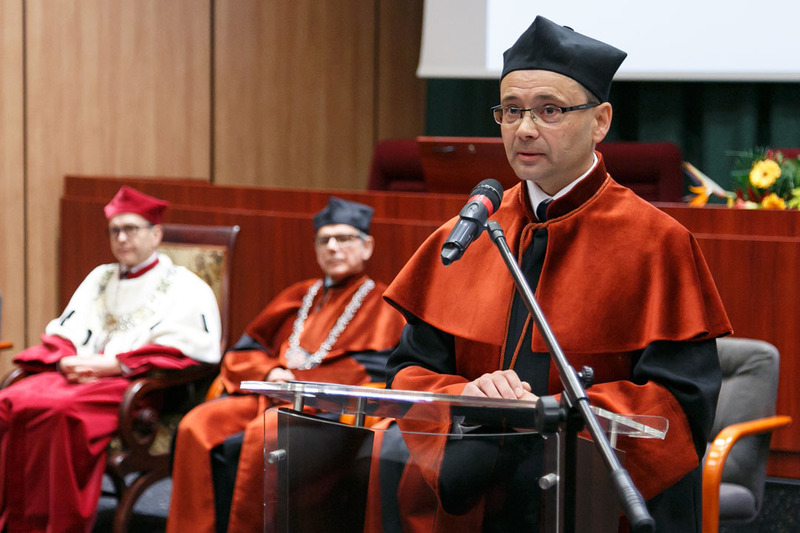 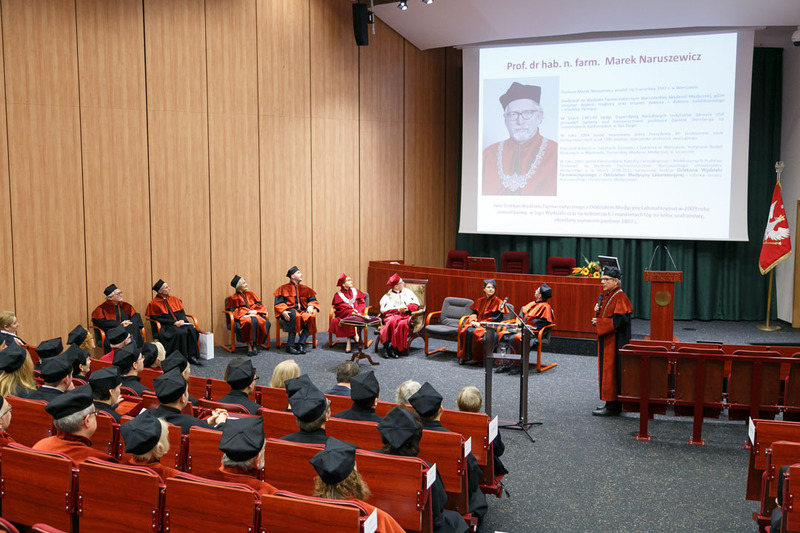 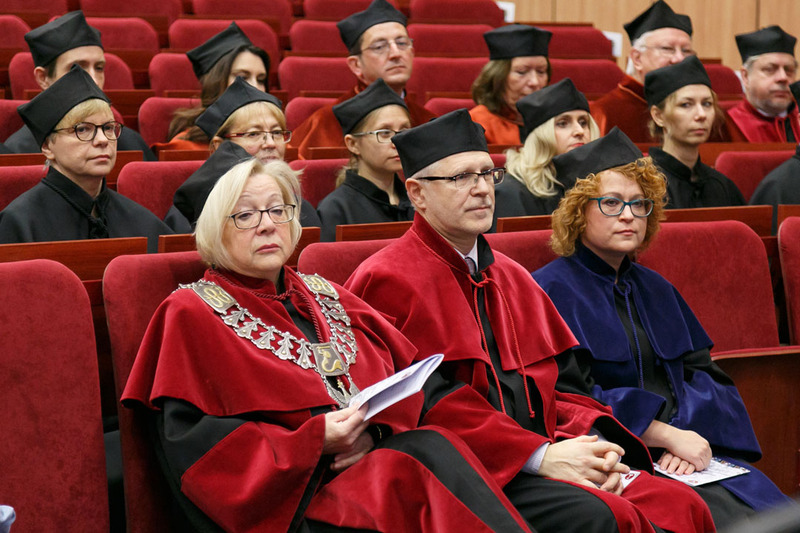 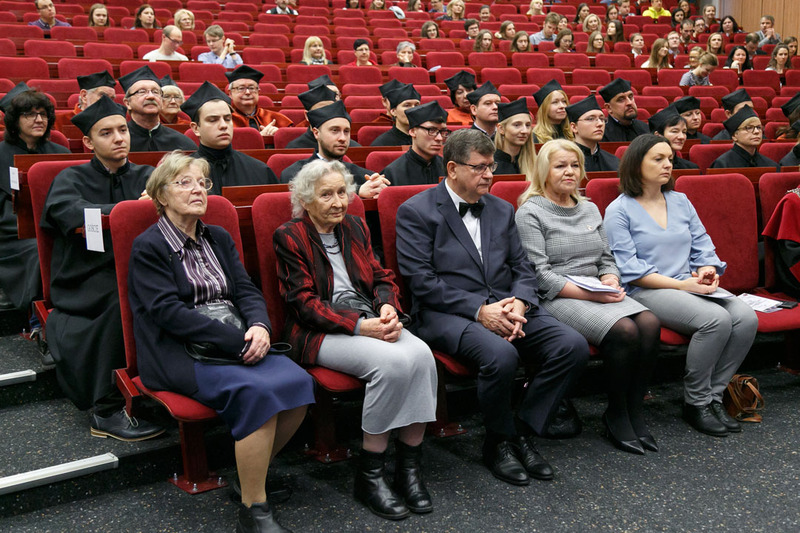 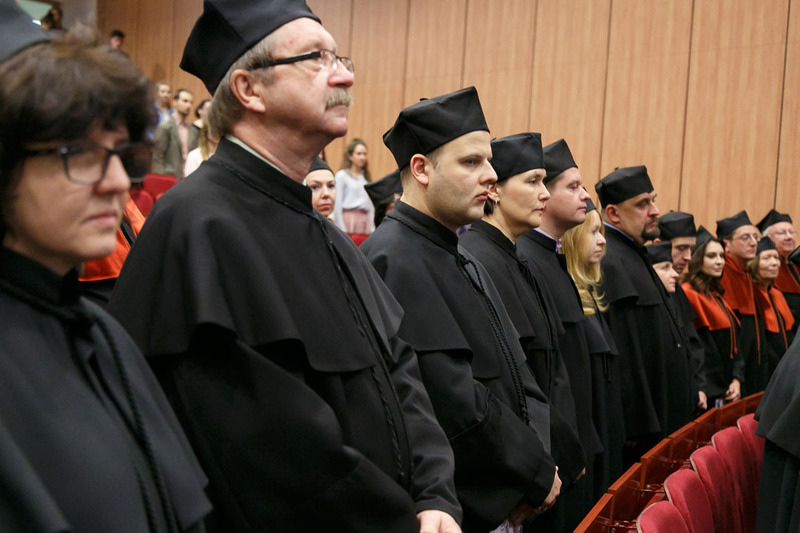 In his remarks, Prof. Mirosław Wielgoś, Rector of Medical University of Warsaw, noted that Prof. Matthias F. Melzig is the University’s seventy fourth doctorate honoris causa degree recipient. 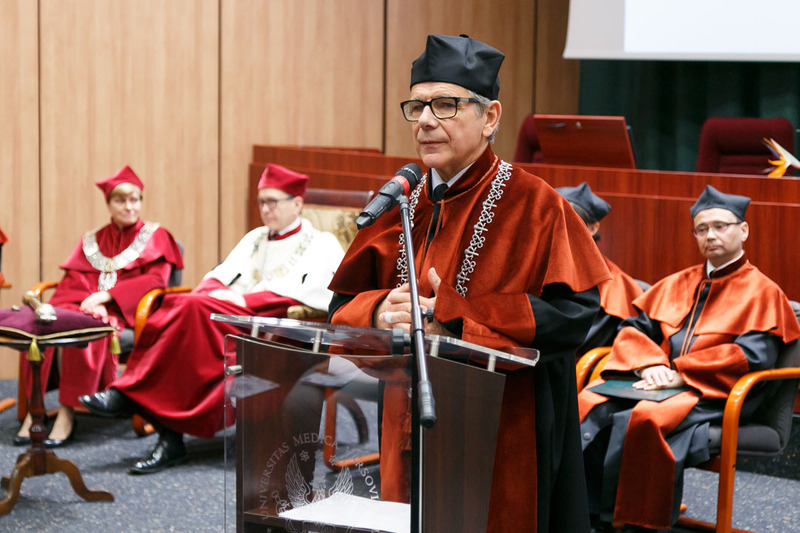 Rector Wielgoś read excerpts from a letter of recommendation from Prof. Mirosława Krauze-Baranowska of Medical University of Gdańsk who stressed the European and global merits of Prof. Melzig’s research developments on plants as a source of new medicines. 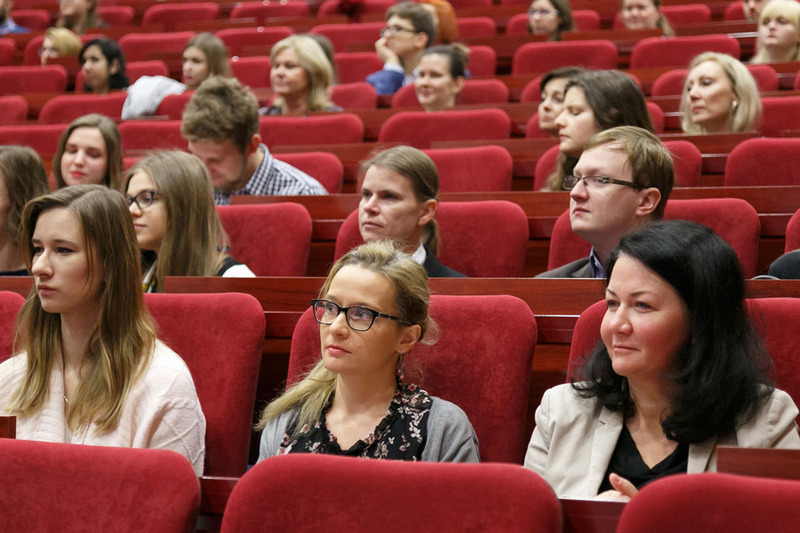 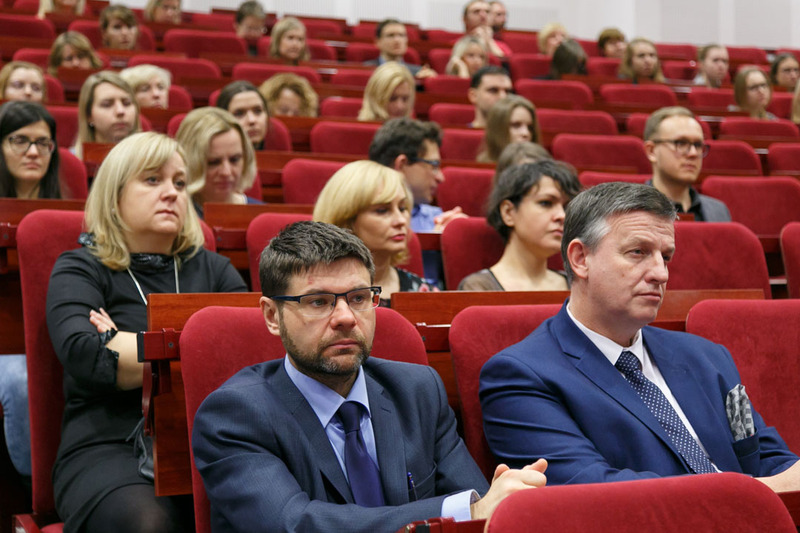 Prof. Aleksandra Mazurek, underlined the longstanding cooperation between Medical University of Warsaw and Prof. Melzig like internships for researchers organized at the invitation of Prof. Melzig, participation in scientific conferences and realization of joint grants and publications. 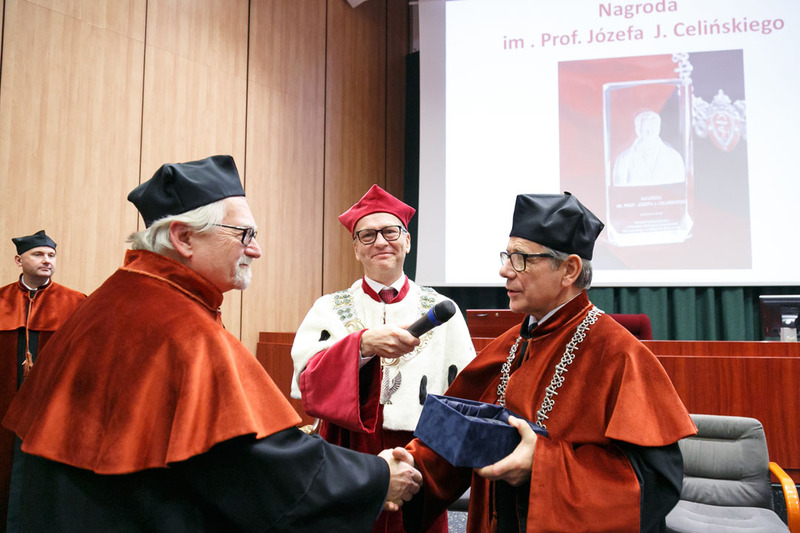 The Rector thanked Prof. Melzig for his invaluable support and recognized its uniqueness in the development of pharmaceutical biology at Medical University of Warsaw. 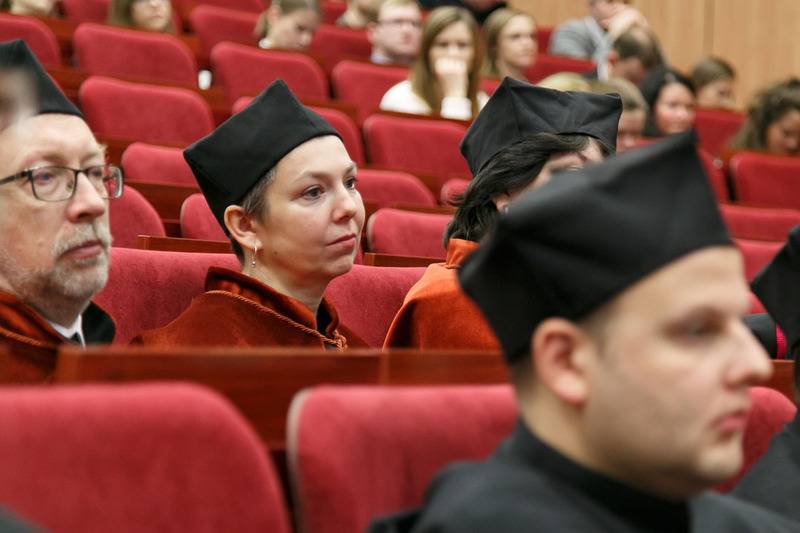 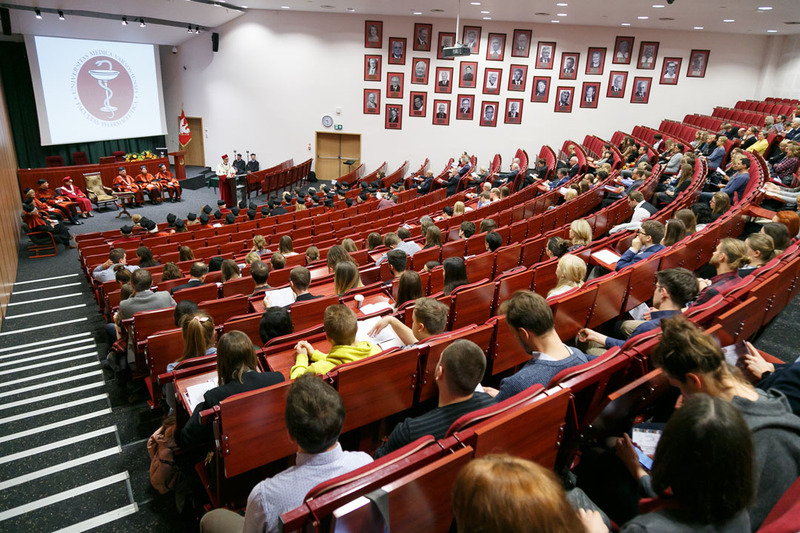 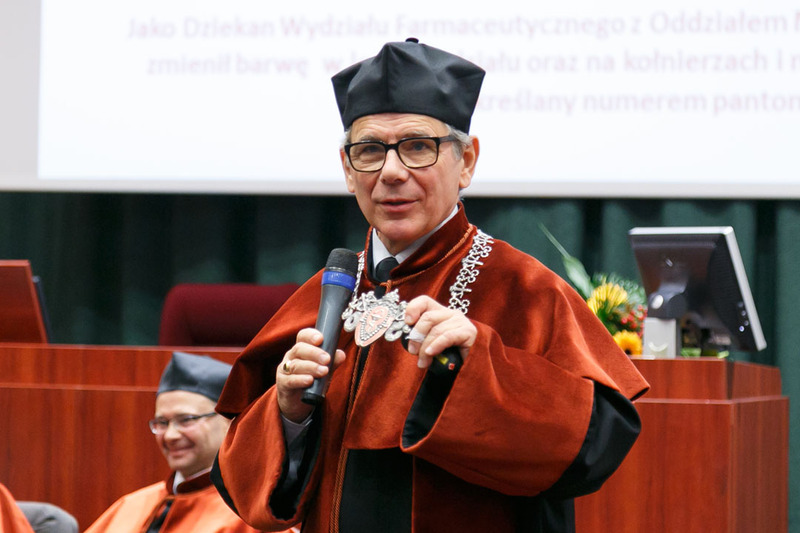 Prof. Melzig joined the exclusive community of doctorate honoris cause degree holders of Medical University of Warsaw in the field of pharmaceutical sciences as its fifth member. 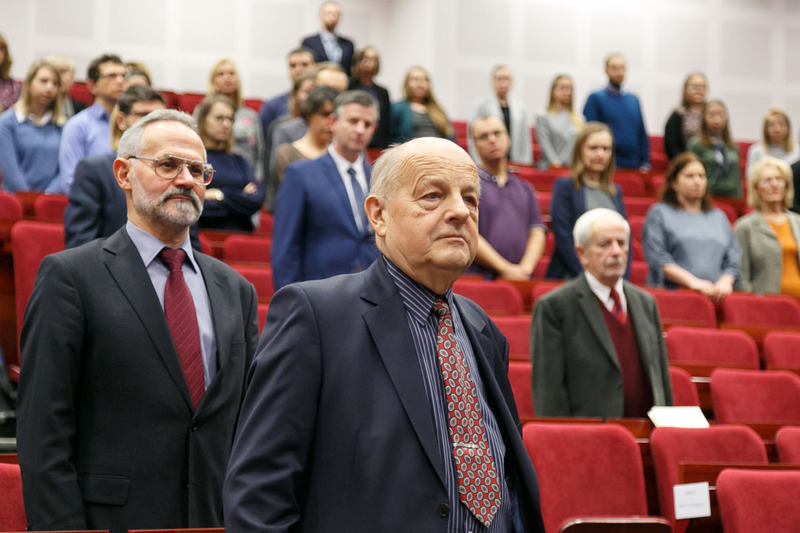 Other members include: Prof. Arthur stoll (1947); Prof. Björn Folkow (1975); Prof. Edward j. Shellard (1975); and Prof. Erhard Röder (1994). 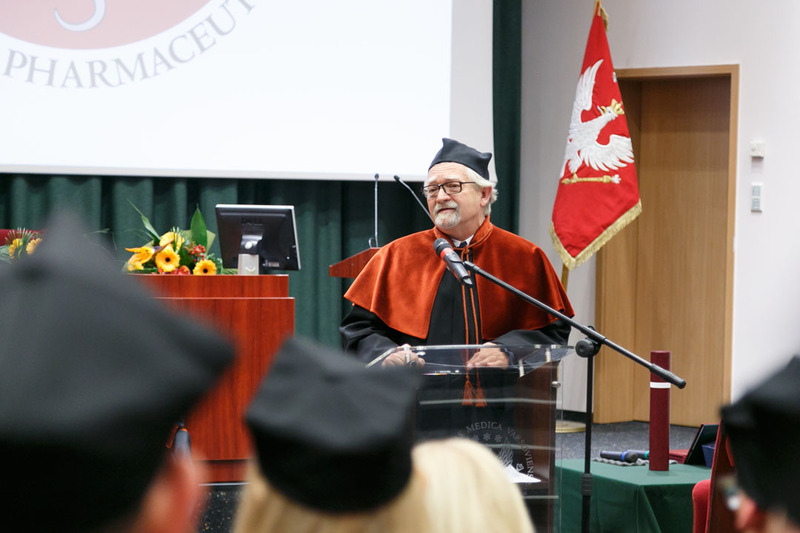 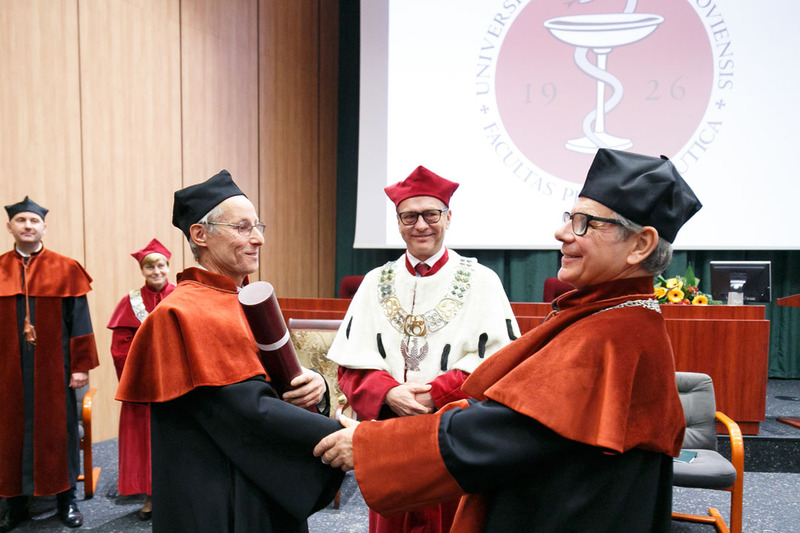 Prof. Piotr Wroczyński, Dean of Faculty of Pharmacy with Laboratory Medicine conferred upon Prof. Matthias F. Melzig the doctorate honoris causa degree. 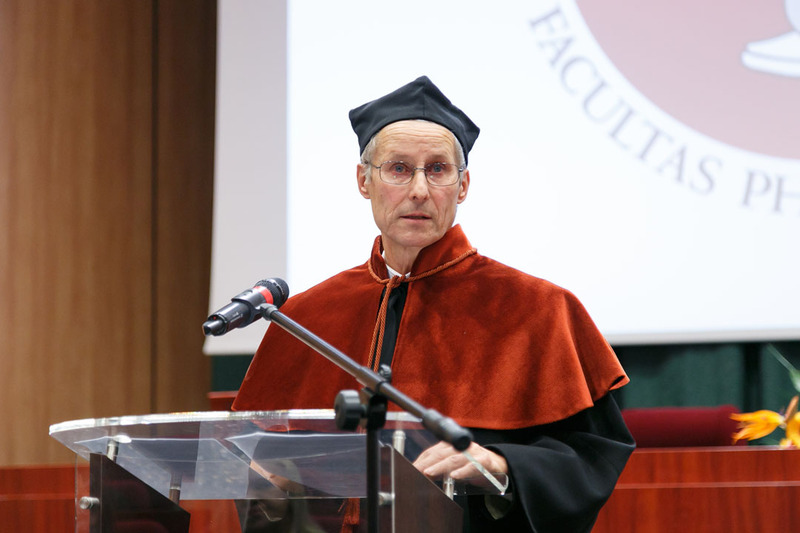 Prof. Melzig then delivered his speech of acceptance. 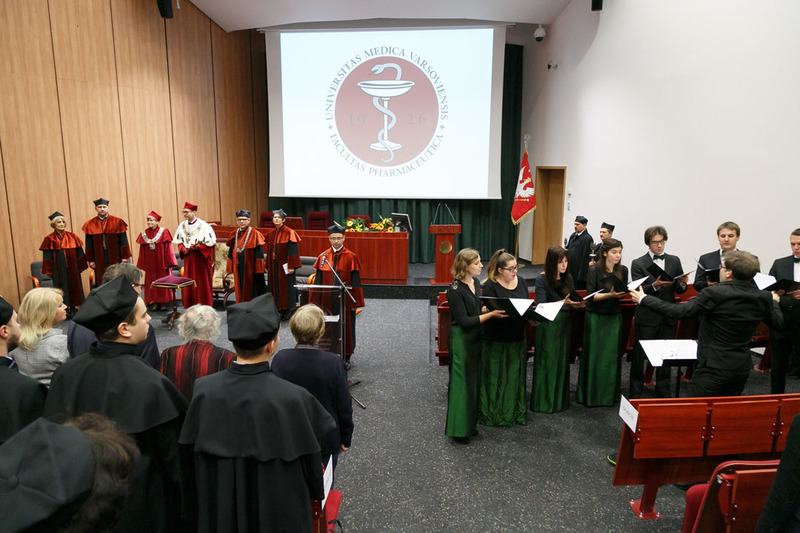 In addition to recognizing Prof. Melzig’s contributions to Medical University of Warsaw, the conference and ceremony was also an occasion to present the Faculty’s Prof. Józef Celiński award, best academic teacher 2017/2018 award, and most important achievements like the successes of the Department of Pharmacognosy and Molecular Basis of Phytotherapy headed by Prof. Anna Kiss. 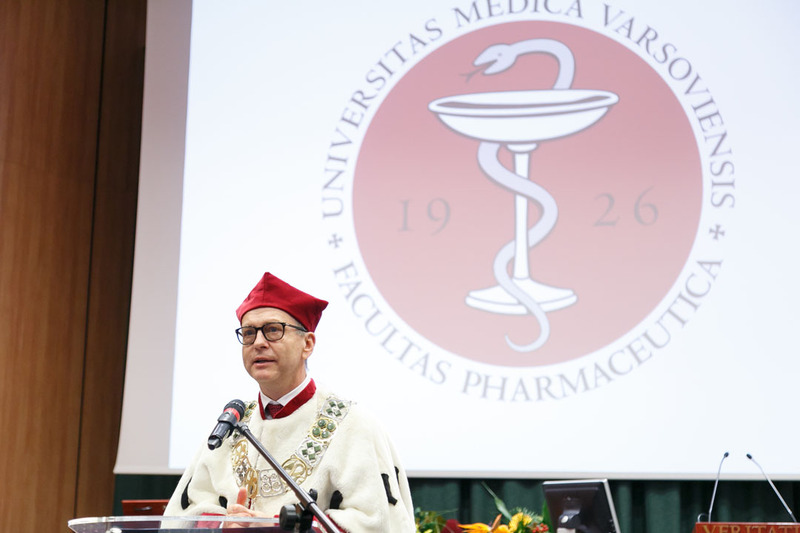 The official host of the event was Deputy-Dean Piotr Luliński, PhD, responsible for internationalization and development at the Faculty of Pharmacy and Laboratory Medicine.